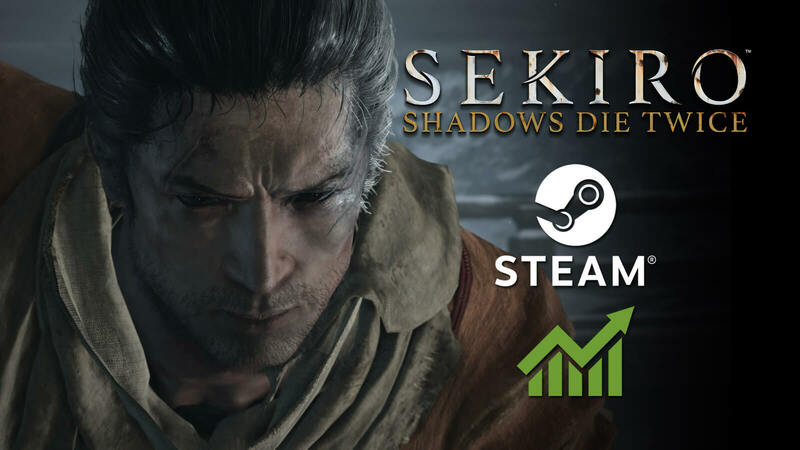 There are people crying for an easy mode in Sekiro: Shadows Die Twice and then there is Limitlessquad, who owns it. 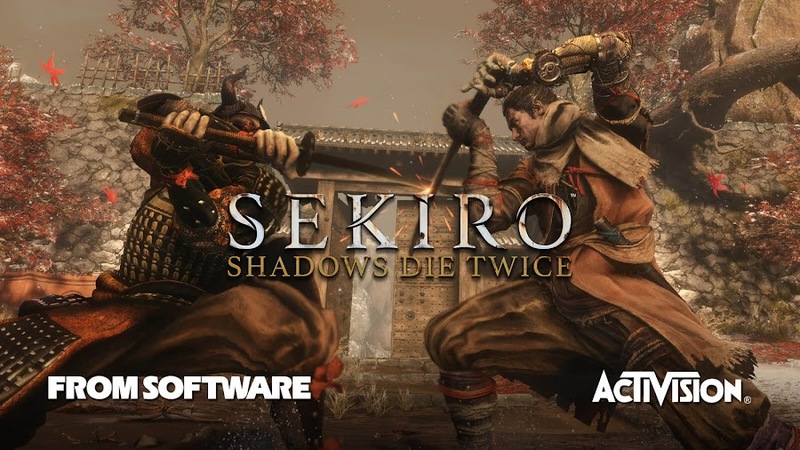 Games developed by From Software have an inherited trait of being difficult than any other titles out there and their recent action-adventure release Sekiro: Shadows Die Twice is no different if not a new staple on that line. 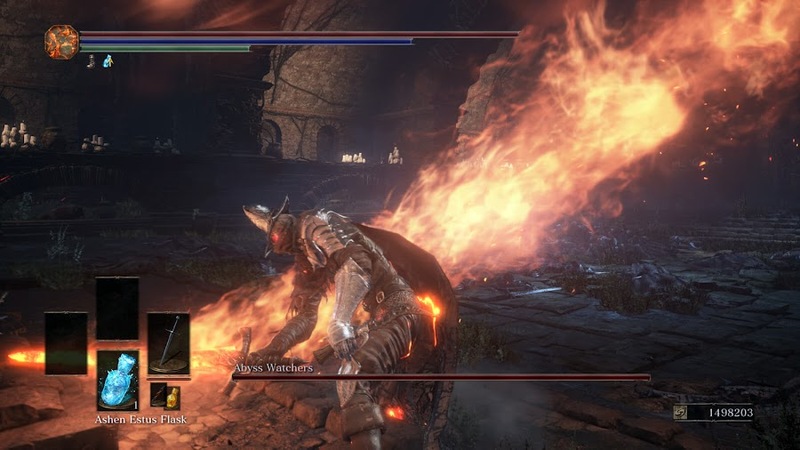 Ever since the game has come out on March 22, people who casually play video games couldn't seem to go ahead much further and kept complaining that it is even harder than Dark Souls III but then comes a player with disabilities, who proves them wrong. 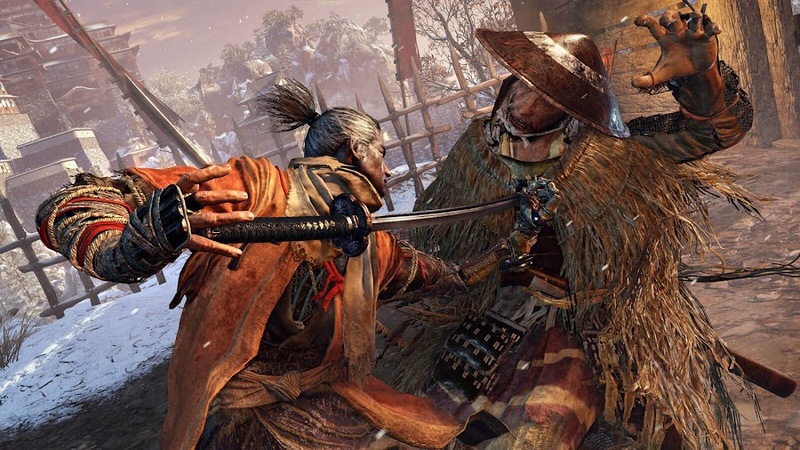 Outcry of a casual crowd in gaming community for adding an easy mode to Sekiro has been there since the game dropped and reached on a new level where they started claiming that people with disabilities are having a hard time playing it. Then there comes a quadriplegic gamer who takes an issue with that claim and showed everyone by playing the game and defeating notorious boss Corrupted Monk to show everyone that players with limitations can adapt and conquer it too. Below is a video of YouTube gamer Limitlessquad with physical disabilities, showcasing his skills in Sekiro via a boss-fight. Of course he faces an extra layer of difficulties than most but his gameplay straight out proves that a simple easy mode band aid that ruins the core experience of the game is no actual solution rather than actually needing to "Git Gud". 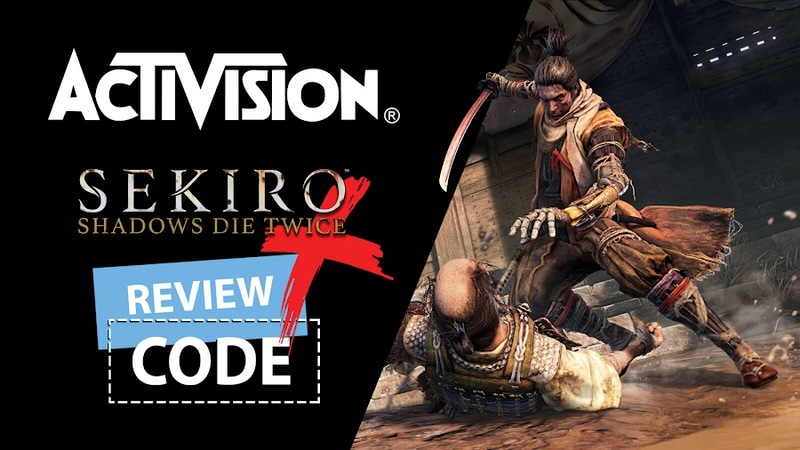 Sekiro: Shadows Die Twice is a latest game by From Software and Activision that is currently available on PC, PlayStation 4 and Xbox One for everyone. Despite being punishingly difficult at times, it is designed to build up determination and perseverance within players. 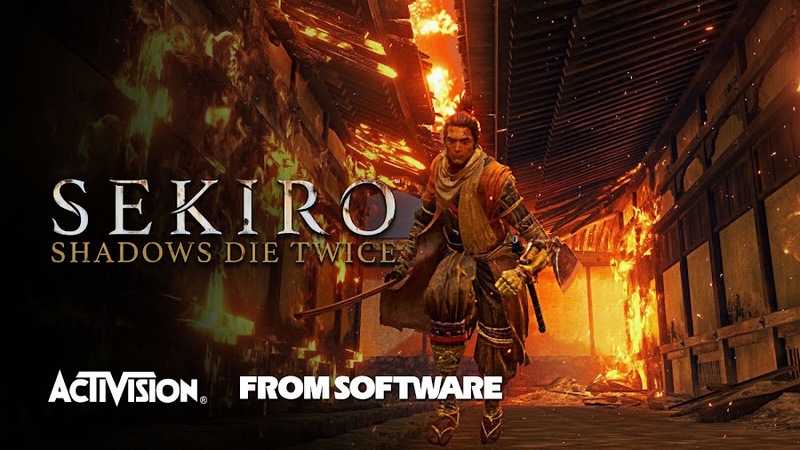 Action-adventure game Sekiro: Shadows Die Twice by From Software and Activision is now available on PC, PS4 and Xbox One. 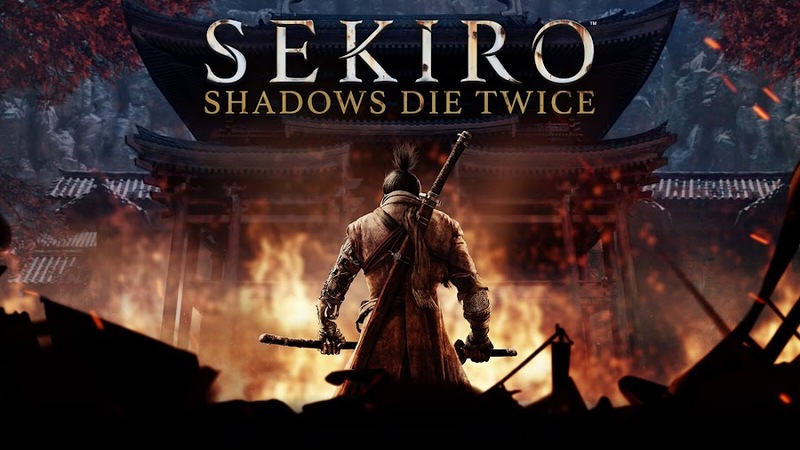 Long-time fans of Soulsborne series rejoice as renowned Japanese developer From Software is returns with a new action-adventure IP titled Sekiro: Shadows Die Twice in association with publisher Activision to launch worldwide for PC, PlayStation 4 and Xbox One. 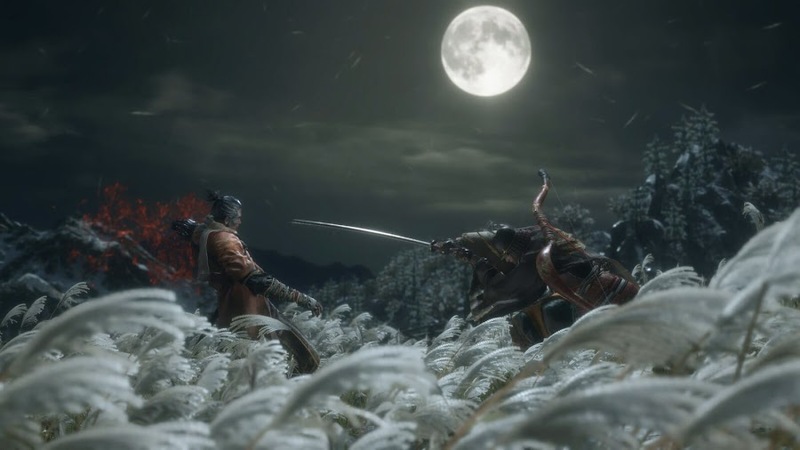 Sekiro will take players back to Sengoku period of feudal Japan and let them assume the role of a shinobi known as Wolf, who will go out on a personal quest for vengeance when his lord, the Divine Heir Kuro is kidnapped by a Samurai of Ashina clan. Before he was defeated in battle, his left arm was severed and the valiant ninja warrior wakes up later to find it being replaced with a prosthetic given to him by a hermit monk named Busshi, who now dubs him as Sekiro, the one-armed wolf. Driven by vengeance and his duty to his lord, he now sets out with a sharpened katana and armed in gadgets and weaponry within his prosthetic to lay a pile of bodies. On his way, Wolf comes across corrupt monks, deadly ogre and a giant snake. Primary gameplay mechanics of combat revolves around attack and making counter but be ready to die a lot more than twice. Instead of constantly dodging attacks, parrying in pitched battles would pay off a lot more than one may think. Other than engaging in frontal confrontation, covert methods of waging warfare are very effective. Though it's very unique resurrection system lets you get back to the fight almost immediately after you die once, it may make you cost everything. For a simplified overview of what you are getting into while playing Sekiro, watch out the official launch trailer below. Players who mostly relates to Bloodborne or Dark Souls series would miss the role-playing aspect of those games in this title but it is good enough to live up to your expectation and you might even come to appreciate it after spending some time. Sekiro: Shadows Die Twice is a bit less dark than previous titles by From Software but just as gritty as one expects it to be. What initially started as a potential Tenchu sequel has turned out to be an acclaimed game worthy of its own name. 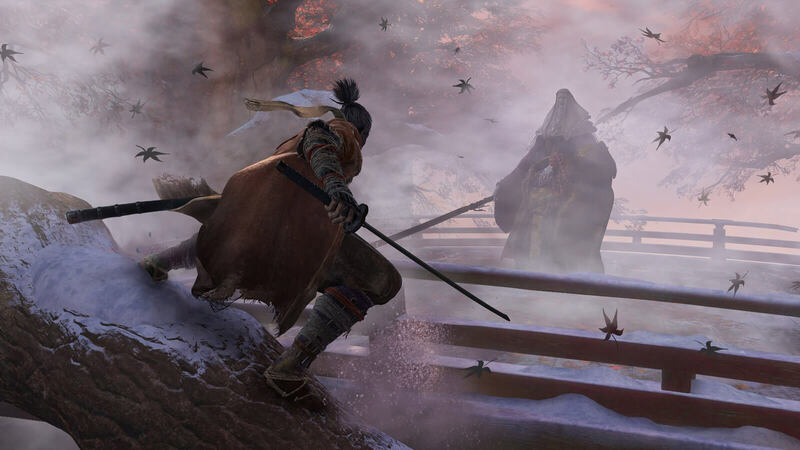 Official launch trailer for Sekiro: Shadows Die Twice showcases a journey to restore honor and take revenge of the one-armed Wolf. 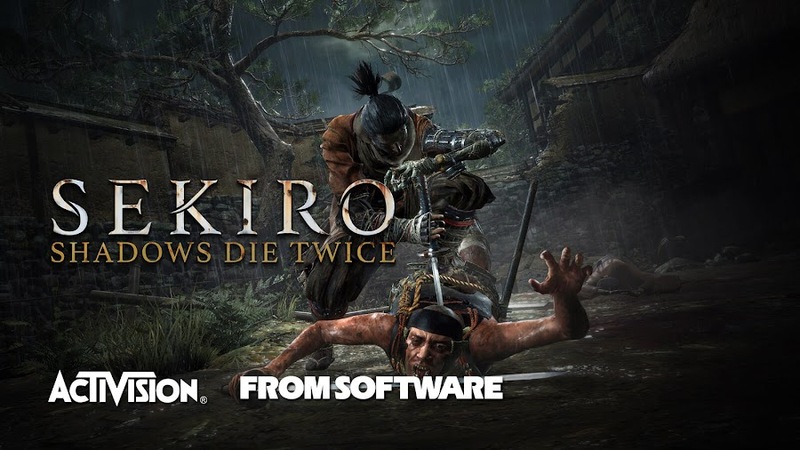 As we are slowly marching towards the launch of Sekiro: Shadows Die Twice by developer From Software and publisher Activision for PC, PlayStation 4 and Xbox One on March 22, 2019, our excitement only grows for the game each passing day. Curious players waiting for the heavily anticipated upcoming action-adventure are not getting any early reviews for a decision made by the publisher. However, you can always take a last-minute good look at the game through launch trailer. Witness the one-armed Wolf out on his quest for revenge in the new official launch trailer of Sekiro, courtesy of From Software. The trailer opens up with new and unforeseen footage from the game where a wooden structure of some sorts is completely destroyed by a giant, raging bull that has a fiery log for horns as it approaches our ninja protagonist. He parried an attack with his sword, jumped back even and when it still rushed towards him aggressively, the shinobi displays a new ability of vanishing in thin air and then reappearing on his position again, ready to strike again with a fire-attack. Then it cut backs to a prior time when he and his master, the Owl were in a conversation regarding the latter handing his apprentice a task of protecting a young boy of great importance and failure is not a choice. 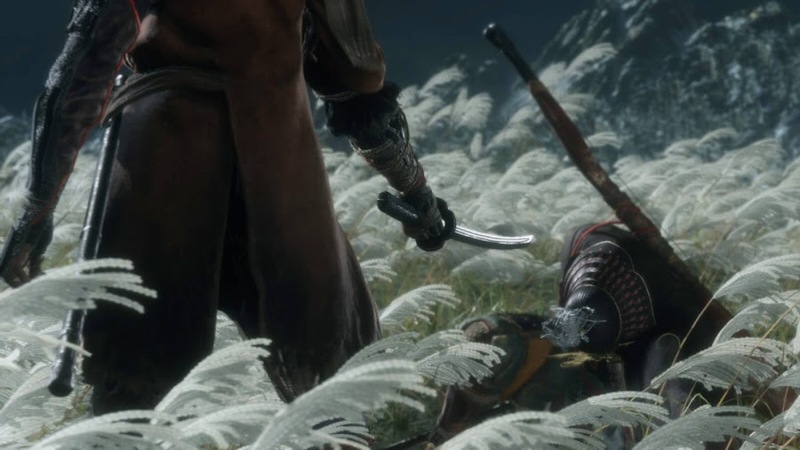 Unfortunately, Sekiro gets a prosthetic after losing his arm in ensuing fight before that boy is taken. So, he declares war against Ashina clan and unleashes his deadly warrior spirit upon them to seek revenge and fulfill his mission. Going face-to-face with deadly enemies, hostile lands and gruesome boss-battles, a world of pain and suffering unveils ahead of the Wolf. Luckily, he came prepared by arming himself with powerful tools and awesome ninja abilities. 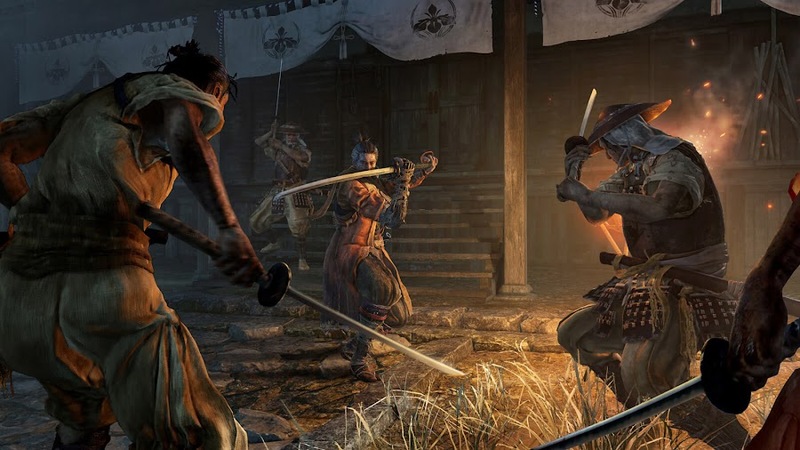 Fans of both Bloodborne and Dark Souls series may not find familiar aspects of those titles in Sekiro: Shadows Die Twice but regardless of much RPG elements, it still is a great action game with an intriguing back-story shrouded in mystery. 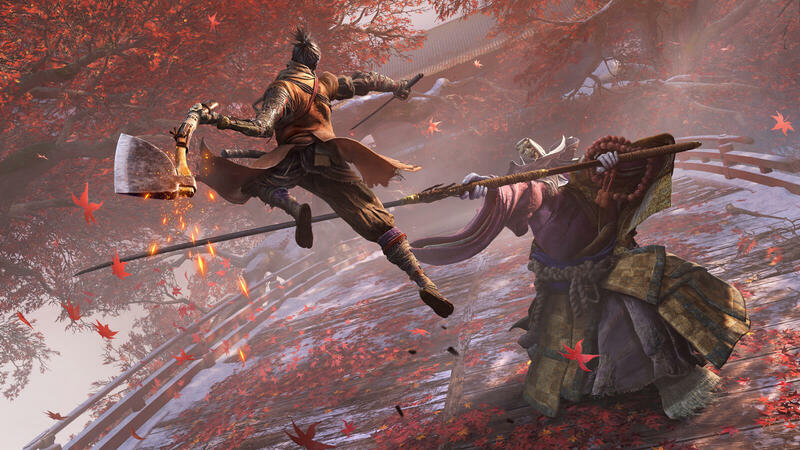 Publisher Activision is not sending out early review copies for Sekiro: Shadows Die Twice before until it releases worldwide. 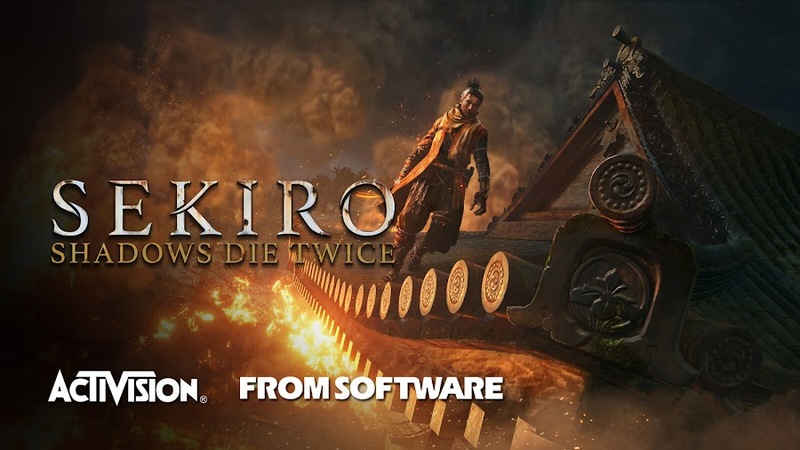 Upcoming anticipated action-adventure game Sekiro: Shadows Die Twice from developer From Software and publisher Activision is only a few weeks away from releasing worldwide on March 22, 2019 for PC, PlayStation 4 and Xbox One. However, unlike many other AAA-titles in the market, reviewer will not get a chance to have their early take on the game, because the publisher will not be sending out early copies for review before the game sees release. News came in first from video game reviewer Skill Up from YouTube, who Tweeted saying Activision will not send out early review codes until the game releases. Usually this would be cause for concern, but it's @fromsoftware_pr we're talking about here; I think these guys have earned the benefit of the doubt. 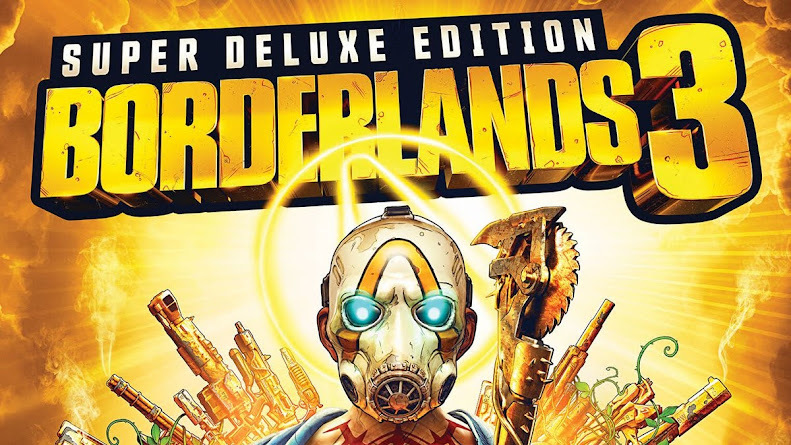 Usually, when a publisher doesn't want to send out review copies early before official release of a game, the quality of the game becomes a matter of concern. However, we can rest assured considering From Software is behind development wheels for the game. 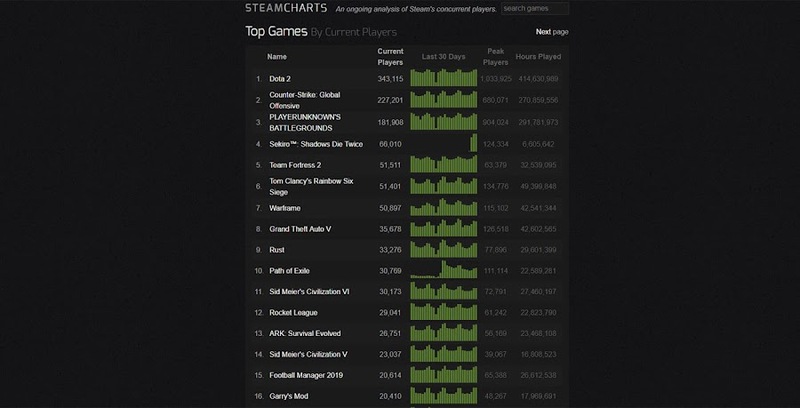 Skill Up also vouched up in this matter saying, the developers are definitely worthy of our benefit of the doubt about quality given their early track records with fan-favorite games like Bloodborne and Dark Souls trilogy in the past. 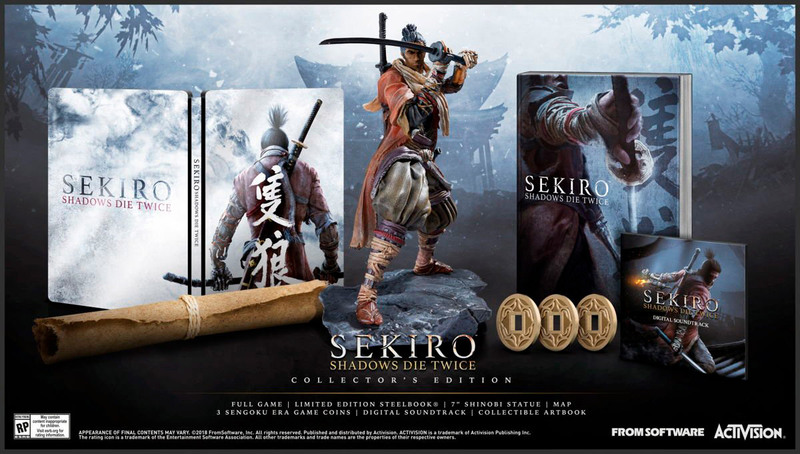 Following a press event in London, the publisher actually confirmed to several parties that they are not giving away pre-release review codes anytime before launch and people have to wait until Sekiro finally releases within weeks. 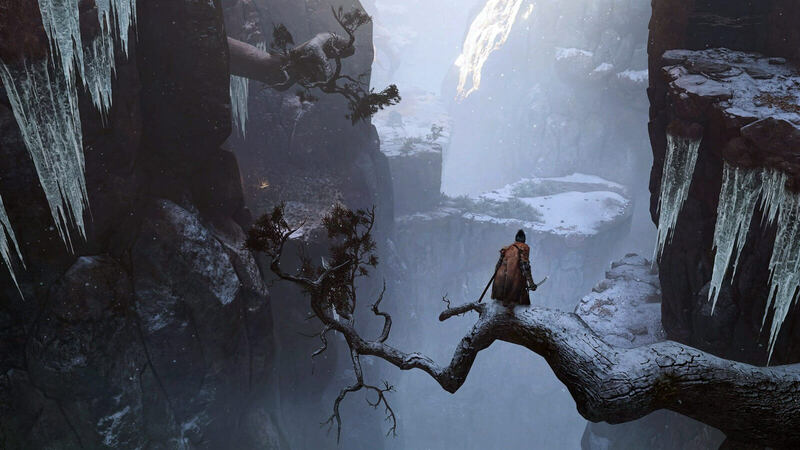 Whatever early gameplay demo they released so far, Sekiro: Shadows Die Twice looks a solid title with stunning visuals. Activision is most likely has done this to prevent players from getting any spoilers in advance and not because they doesn't have faith in the product. As the launch date draws near, developer From Software released a story trailer for Sekiro: Shadows Die Twice. 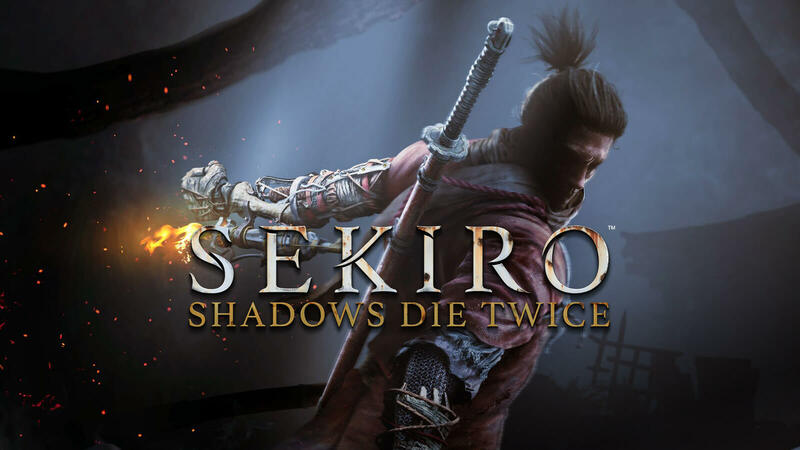 Following their critical and commercial success on Bloodborne and games from Dark Souls series, Japanese game developer From Software has returned with their newest release from publisher Activision, Sekiro: Shadows Die Twice. 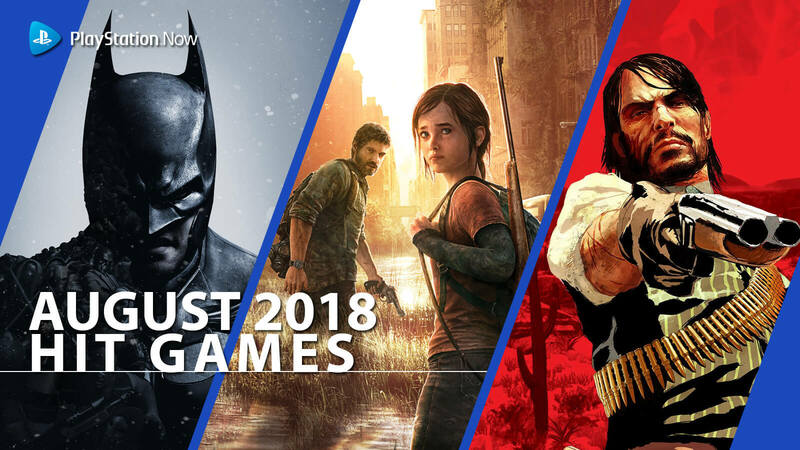 Listed as one of our most anticipated video game of 2019, the upcoming action-adventure title has managed to raise enough curiosity among players but all it lacked so far is a backstory of the protagonist and oh Lawd, it is comin' this way. Witness how the one-armed wolf started his journey in late 1500's Sengoku Japan as he eventually becomes a shinobi. In a vague way, the trailer opens up to a brutal period of Japan that was an era of bloody conflicts after the fall of their feudal system. It slightly sheds light on the origin of protagonist Wolf but still left many details covering in obscurity. When the Owl found the boy amidst pile of corpses that was littered with blood and held his sword at him, the lad fearlessly grabbed the tip of it. Impressed by the fearless gesture of that stray, he took in his new apprentice who would later become a powerful ninja. Sekiro: Shadows Die Twice will be launching on 22 March, 2019 for PC, PlayStation 4 and Xbox One. 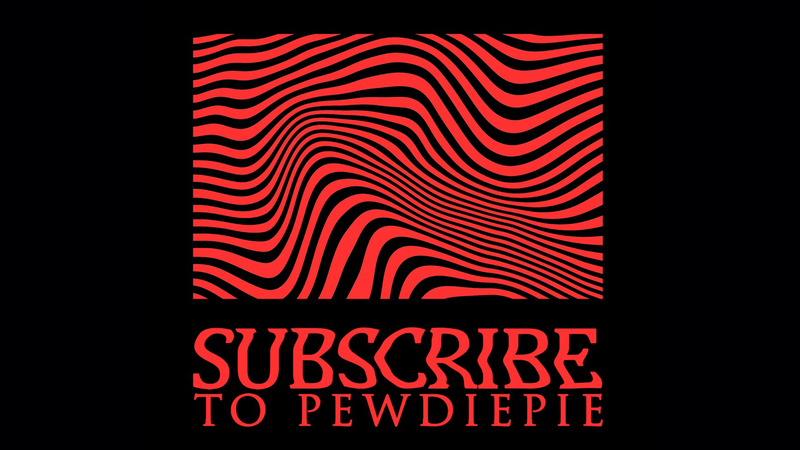 Although the game does not have a multiplayer mode, single player campaign introduce a new level of challenge while gameplay mesh of parkour and stealth mechanics keeps it intriguing. 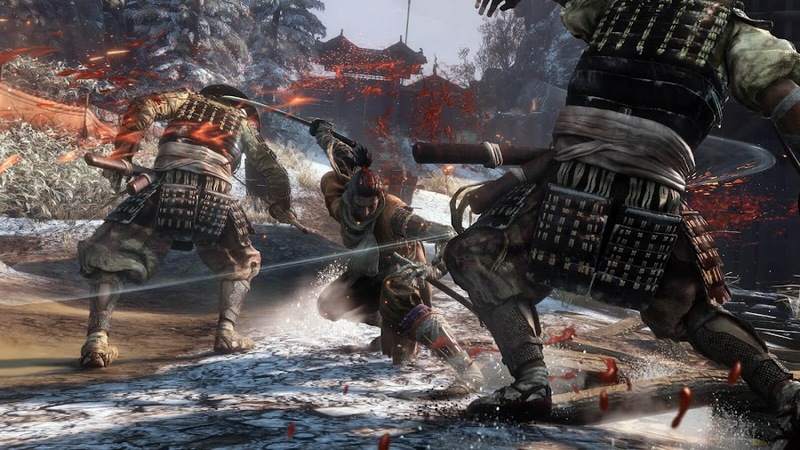 Not stepping too far from their previous releases, From Software has included acclaimed combat systems from the aforementioned video games into Sekiro. Boss battles you will get into are much more different than previous games as well. 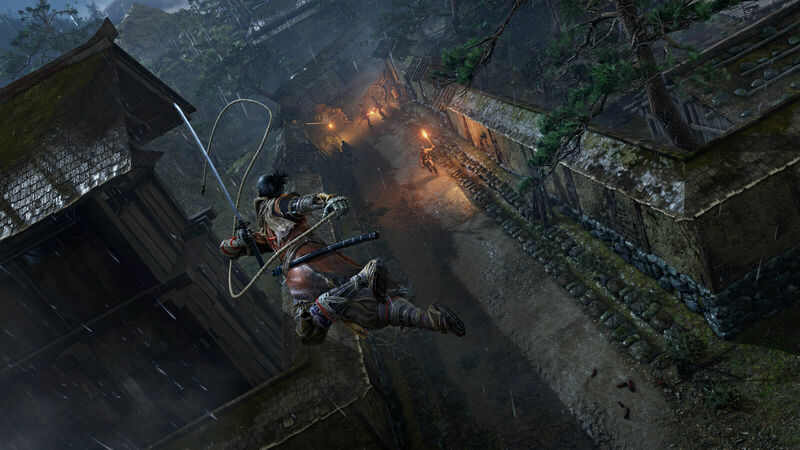 New Sekiro: Shadows Die Twice trailer showcases brutal aerial combat and gameplay before Tokyo Game Show 2018. 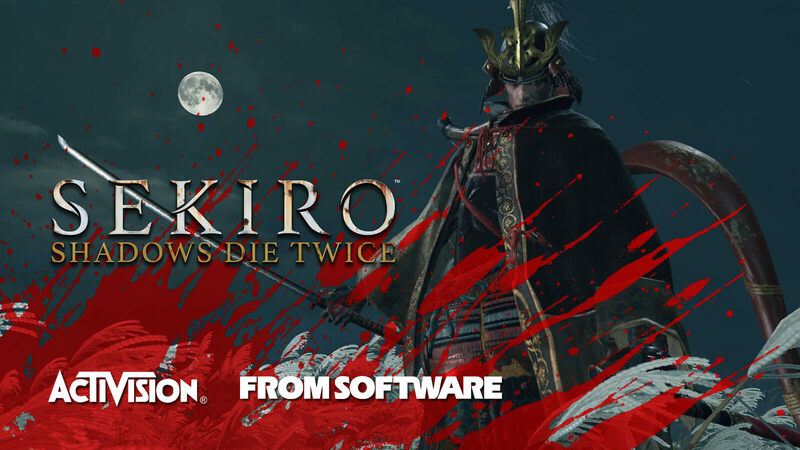 First developer From Software made people believe that they are working on a new Dark Souls project, then before they unveiled their upcoming action-adventure game Sekiro: Shadows Die Twice at E3 2018 press conference, some even predicted of a sequel for Bloodborne. Tokyo Game Show is still not here yet but ahead of more than a week; a new trailer for the game is dropped today, which is mostly focused on gameplay while an ongoing narration is going on in the background. 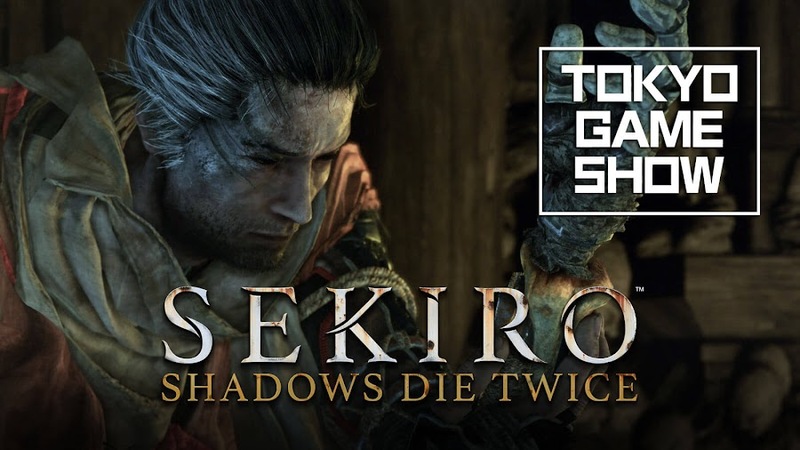 Below is the brand-new TGS trailer of Sekiro: Shadows Die Twice released earlier by From Software and Activision. The clip opens up with a village engulfed in flame while it is raining at night and nearby, we see the bloodied, fallen body of the hero and then we are quickly taken to the action-packed segment for more gore moments. Combat system of the game remains the main focal point of the full video and it only reflects on how quick and deadly the shinobi protagonist actually is. How he cunningly employs stealth when needed and shots his grappling hook for movement is a true spectacle. He doesn't hesitate to mercilessly cut through his enemies like dogs and each of his blows draw rush of blood you have seen before in Kill Bill movie. It also appears that the sword he wields has some magic within it as some of his enemies are seen turning into red cloudy dust upon being hit by it. Then again, his samurai opponents from the Ashina clan are quite formidable if you look at their appearance or powers at their disposal and have some intimidating boss characters as well. Although it was near impossible to understand any meaning to those background recitations in Japanese without any subtitles, the shinobi made his intentions quite obvious with his deeds. 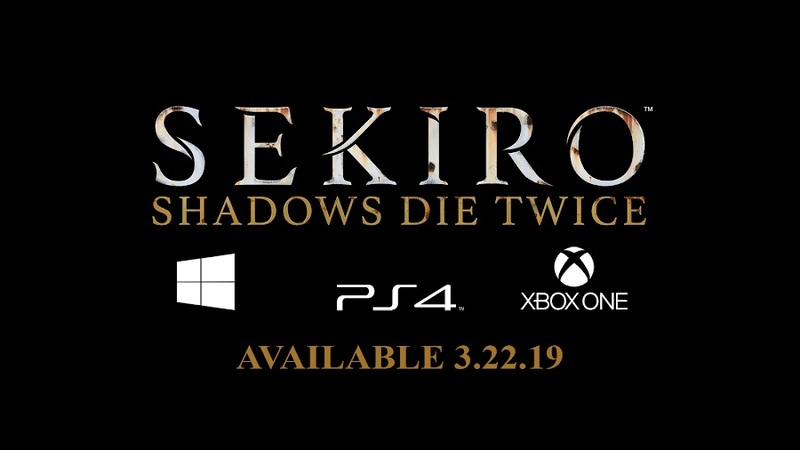 Currently, Sekiro: Shadows Die Twice is scheduled to launch on 22 March, 2019 for PC, PlayStation 4 and Xbox One. 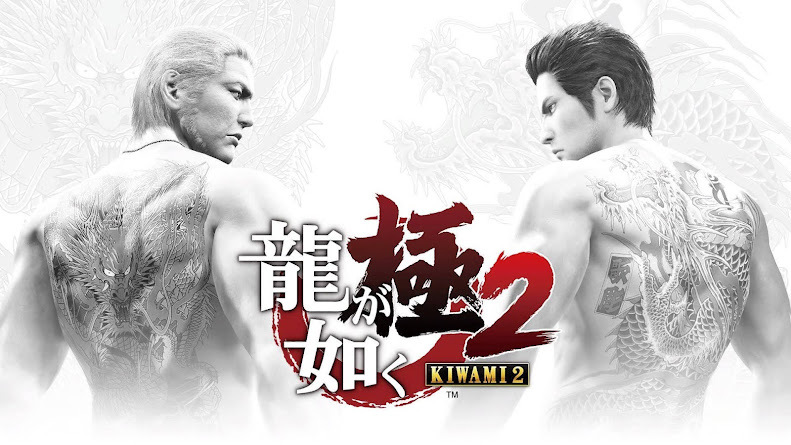 Since we already got trailer ahead of TGS 2018, chances are we will witness more of the ninja warrior in impressive gameplay footage or perhaps a new story trailer may get released. Sony's game-streaming service PlayStation Now library adds Bloodborne, God Eater: Resurrection and Project Cars. 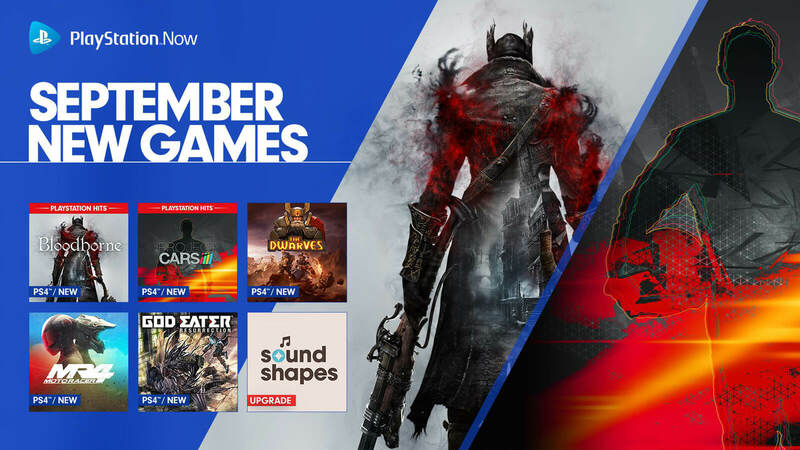 Featuring a vast library of more than 650 video games from PlayStation 2, PlayStation 3 and PlayStation 4 platforms, Sony Entertainment's cloud gaming service PlayStation Now returns with new and exciting titles added to their list. 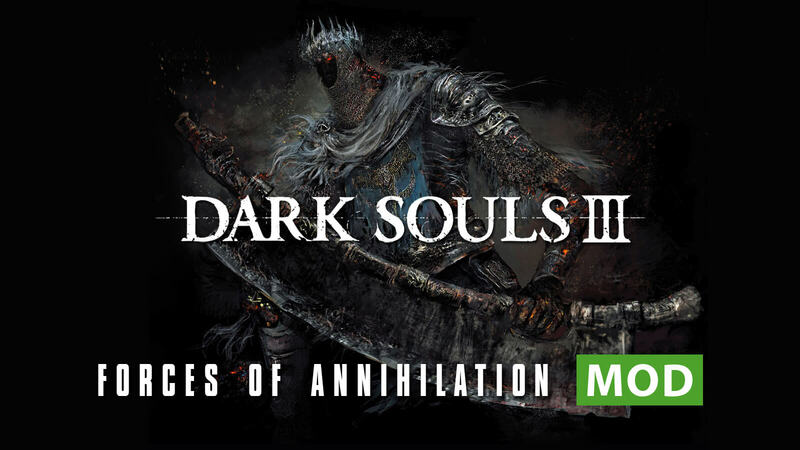 This month, acclaimed action RPG Bloodborne from creator studio of Demon’s Souls and Dark Souls, From Software joins the catalogue with other fan-favorite games like, fantasy role-playing game The Dwarves and action RPG God Eater: Resurrection. The plot of Bloodborne revolves around the Gothic city of Yharnam, where the inhabitants are plagued with a disease that transformed them into monstrous creatures and beasts. The player character, the Hunter finds himself amidst this mindless chaos and embarks a night of hunt on the streets. Although the gameplay is focused on fast-paced combat system, you are best advised to not engage large horde of enemies at once or not you will end up regretting almost immediately. Before entering into the nightmarish city again, we offer you to take a look into the official TV commercial released for the game once again. Until September 25, there is a summer price promotion going on for a full month of service at $9.99 only and the offer is only for new customers. Or you can just get it for a whole year by spending only $99.99 in this special intro offer. Being a PlayStation Plus subscriber can also earn you an exclusive discount on PlayStation Now 3-month pass for only $29.99, whereas the regular price is $44.99. Also, current PS Now members can now share access to other friends on a PS4 system. Batman: Arkham Origins, Fallout: New Vegas, Injustice: Gods Among Us, Mafia II, Mortal Kombat, NBA 2K16, Red Dead Redemption, Sid Meier’s Civilization Revolution, The Last of Us and WWE 2K16 were the most popular PlayStation Now games in August. Doki-Doki Universe and Sound Shapes received an upgrade to PS4 version from PS3 as well. Racing games, Moto Racer 4 from developer studio Anuman and Project Cars from Slightly Mad Studios have made it to the new games list. There is a 7-day free trial to experience the PlayStation Now streaming service on PS4 and PC, which will grant you an access to loads of games on demand where new games are added every other month. However, this is only valid for standard monthly subscription and to enjoy the $9.99 monthly offer, you need to make a direct purchase. Using your PS Plus cloud saves from your console, you can get on board with any games you want without even downloading it at all. 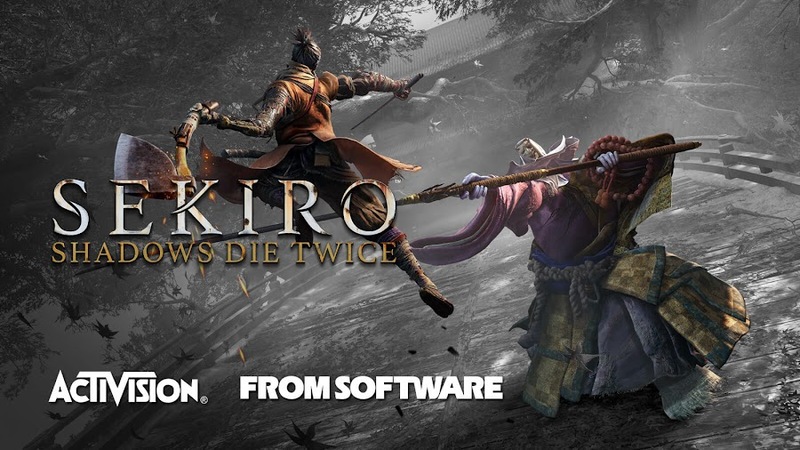 Activision and From Software announced that Sekiro: Shadows Die Twice will be arriving on all major platforms in March 22, 2019. 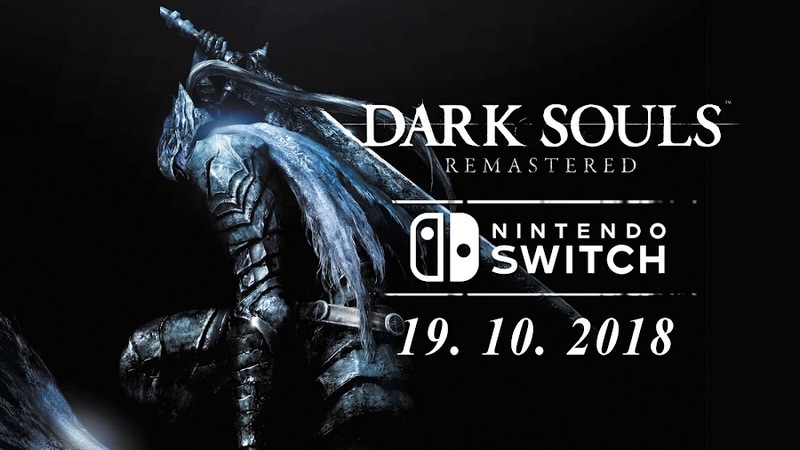 When developer From Software initially teased about their new project in with a brief clip back in December, players thought it to be sequel of Bloodborne series but as soon as they dropped a trailer at E3 2018 press conference, everyone started comparing the game to their popular Dark Souls series. However, none of these claims about upcoming action-adventure title Sekiro: Shadows Die Twice is true and currently we have a scheduled date for the game set on 22 March, 2019. The developer promised that whatever gameplay mechanics we saw in the E3 debut trailer, will step further and new actions are about to be unlocked to make the experience more intense than it already is. 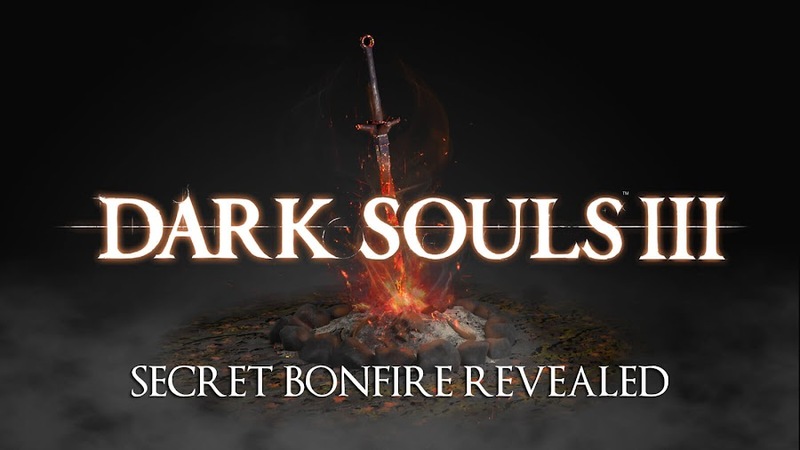 Although the game is not a copy of Dark Souls, you sure can expect to die every now and then because you can always come back using an ability called "Resurrect" almost instantly after you are taken down by an enemy and that reference is already given in the game title. The story of Sekiro: Shadows Die Twice is of a shinobi named Sekiro, who is also known as the one-armed wolf and it all takes place on the Sengoku-era Japan. He is quite good in combat with katana against a group of enemies while his prosthetic arm as a lot of potential for an array of attacks using his sword or grappling hook. This ninja warrior is on a quest to rescue his master and finish his arch-nemesis for good to complete his journey. 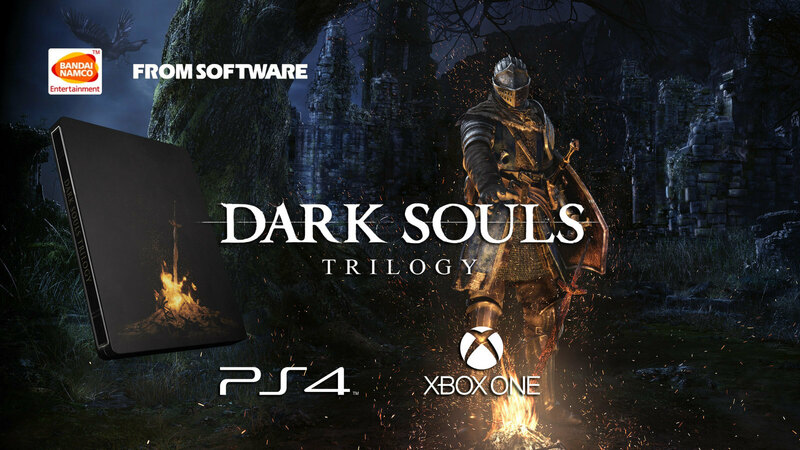 From Software has teamed up with publisher Activision to bring this awesome title to light on PC, PlayStation 4 and Xbox One. You can already place a pre-order for a standard version of the game or a collector’s edition, which comes with an official artbook, a 7-inch statue of shinobi Sekiro, limited edition SteelBook case, map, replica Sengoku era coins from the game and original digital soundtracks alongside a copy of the full game.